Rose and Grace Wedding Photos are crafted to tell the story of your day with memories made with beautiful images carefully crafted to enhance the details that mean most to you. Working with different ways to change your photos from soft colour ways to feature enhancements, we can add a bit of extra magic to the memories of your beautiful day. The 3 images of Starlie in her 1920's inspired dress (in the slide show above) show how the look can change from full colour through faded retro to monochrome. The simple monochrome does not have to be pure black and white either, subtle and soft coloured variations make an enormous difference to the mood of the images. The lovely little bridesmaids look even more timeless in their vintage effect image against a backdrop of the ancient church in Ilmington, Warwickshire. The other images in the slideshow illustrate how the softly faded colours add to the memories of each wonderful day. 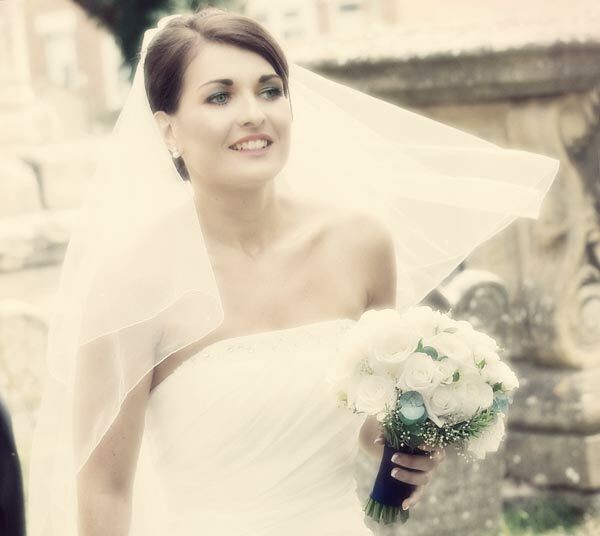 This beautiful image of Charlotte shows how the full colour original on the left can have a vintage glamour applied for a softly enhanced wedding image of her as she is captured arriving at her Church. The reduction in the colour allows you to concentrate on her innate beauty and the simplicity of a gorgeous image of a bride on her wedding day. 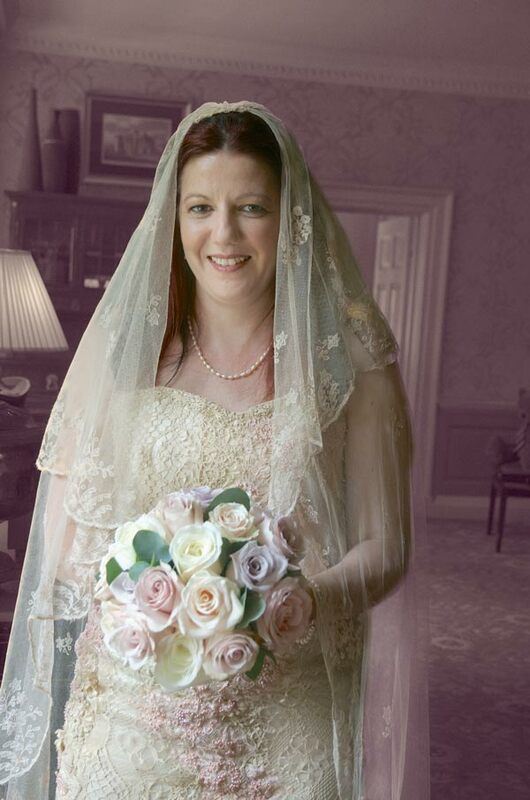 Kaye's fantastic vintage lace wedding dress was a perfect match for her rose bouquet (designed, of course, by Catherine of Rose and Grace). The vintage hand-coloured effect of the photo adds to the vintage glamour of it all. The image of her with her father, as they wait to go into the ceremony room at Lower Slaughter Manor, in the glorious Cotswolds, also has a timeless vintage feel with the hand-coloured effect. 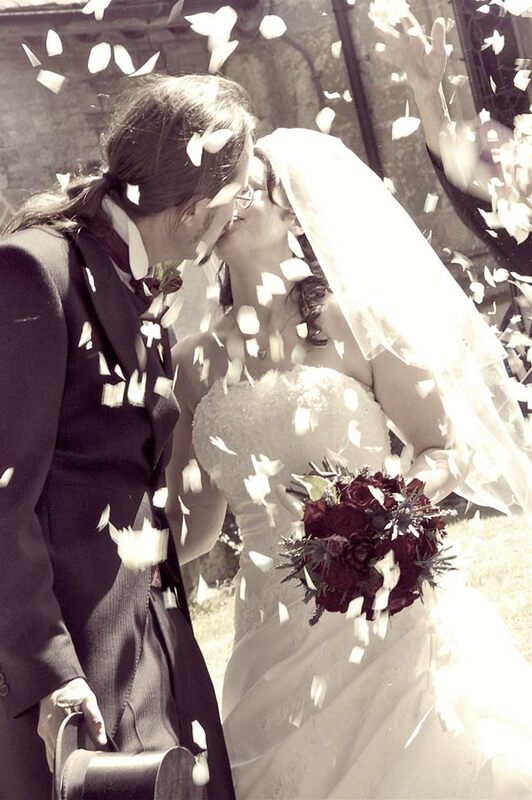 In a rain of confetti, Charlotte's newlywed kiss is immortalised in vintage style with this subtly coloured photo. 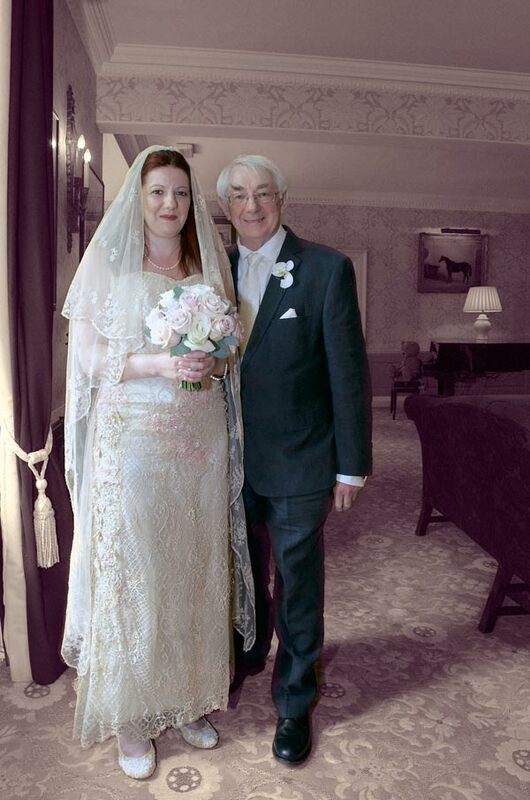 Her husband's Edwardian wedding suit looks perfect with this treatment. Even though Amanda and Ron's rock and roll wedding was full of really bright flowers, the vintage feel of their photo adds the period feel to their day. The flowers are allowed to shine through the sepia retro look to add the colour and fun that their day provided. 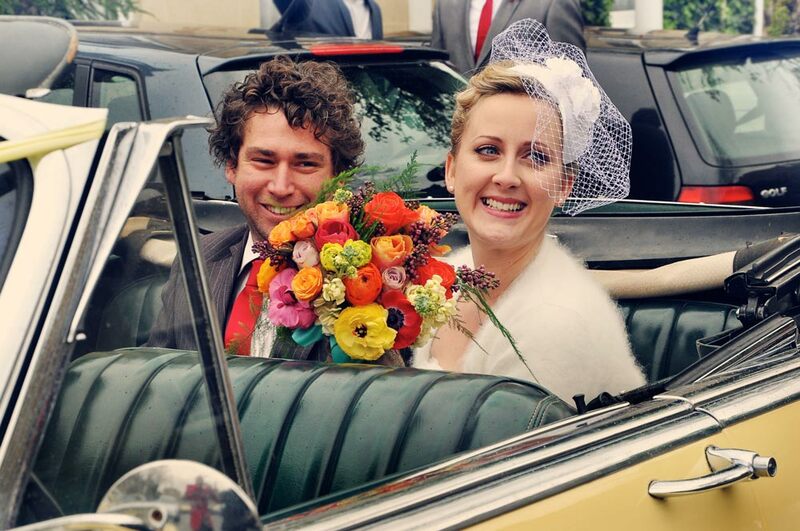 Keeping the colour but giving it a rich retro, Fifties technicolor feel, also sums up Ron and Amanda's wedding day. Her gorgeous bouquet sets the tone. To get in touch to talk about photography for your forthcoming wedding, please ring Tony on 01386 832120 or fill in the easy contact form below and we will get back to you as soon as possible. 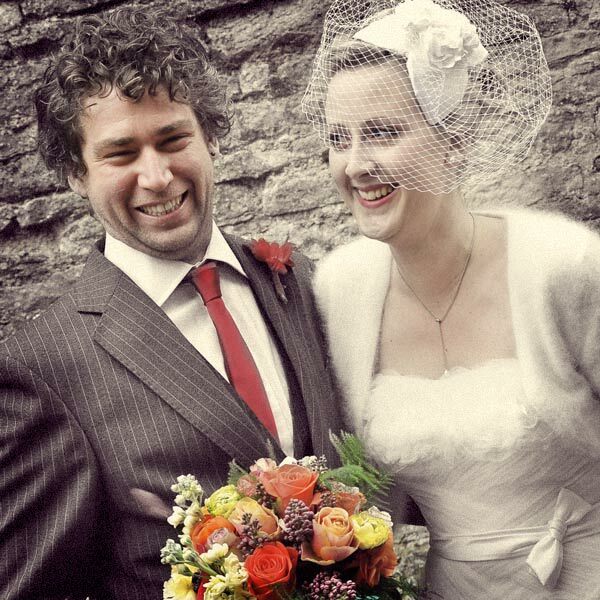 To return to the Photography home page from here - Vintage wedding photos, follow this link.